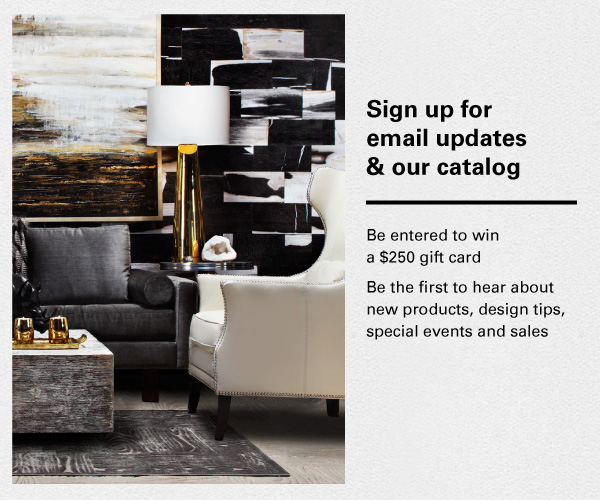 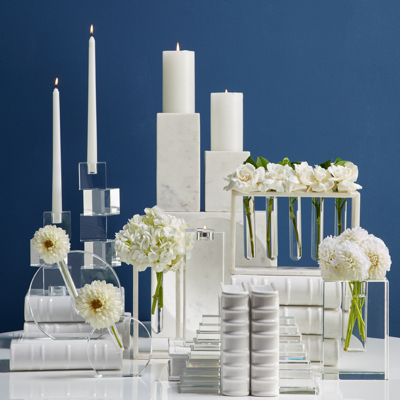 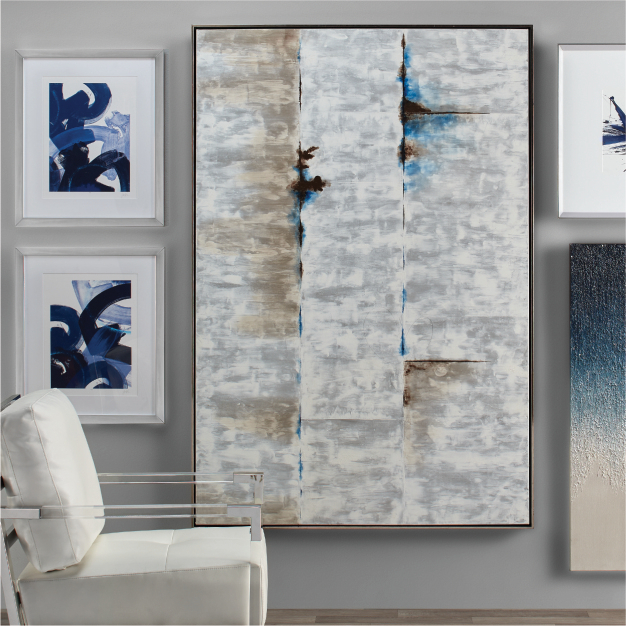 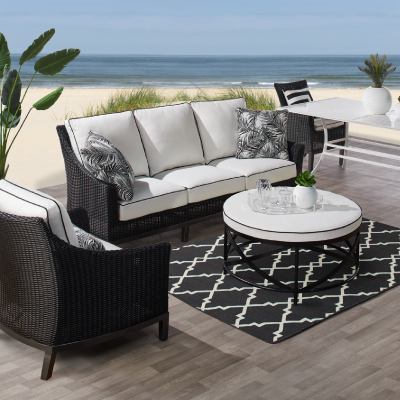 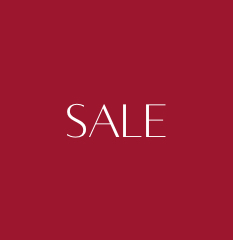 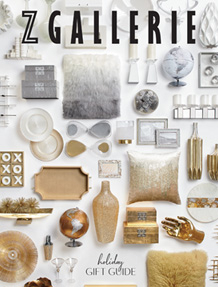 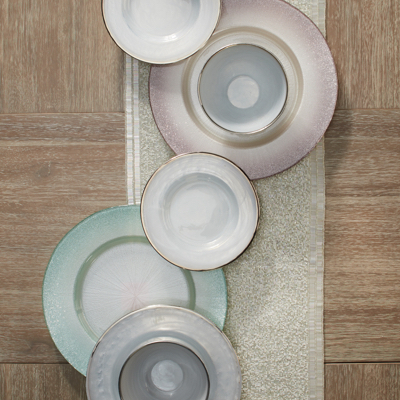 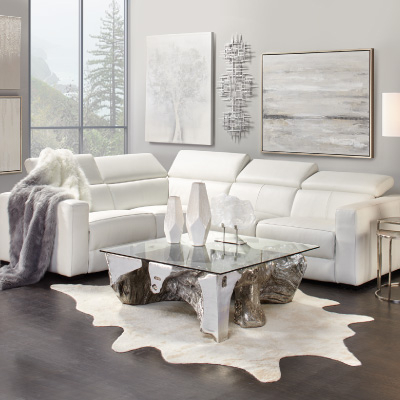 At Z Gallerie, our home furnishings and decor make decorating your bedroom easy. 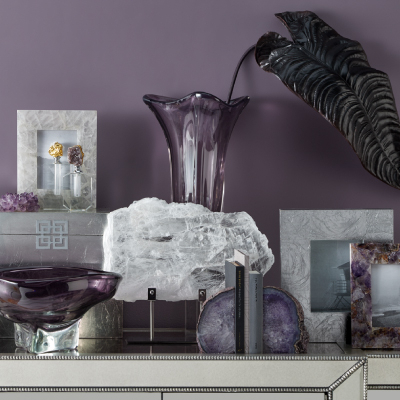 Whether you're working with a blank space or refreshing that outdated bedroom, we offer all the tips and finishing touches to create a restful retreat. 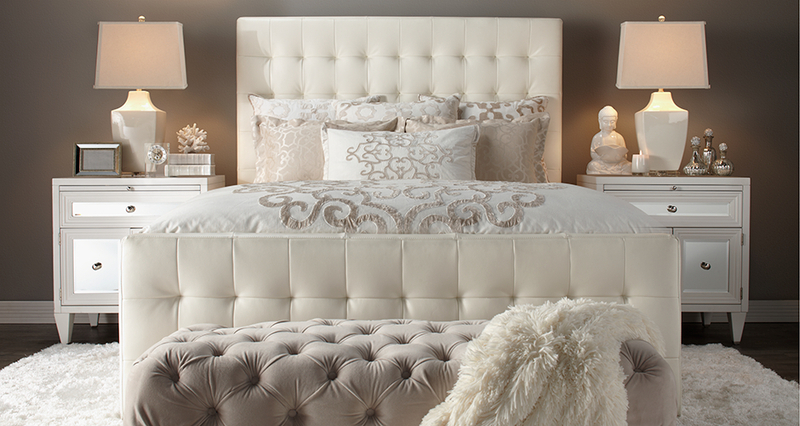 Your bed serves as the centerpiece of your room, setting the tone for the space. 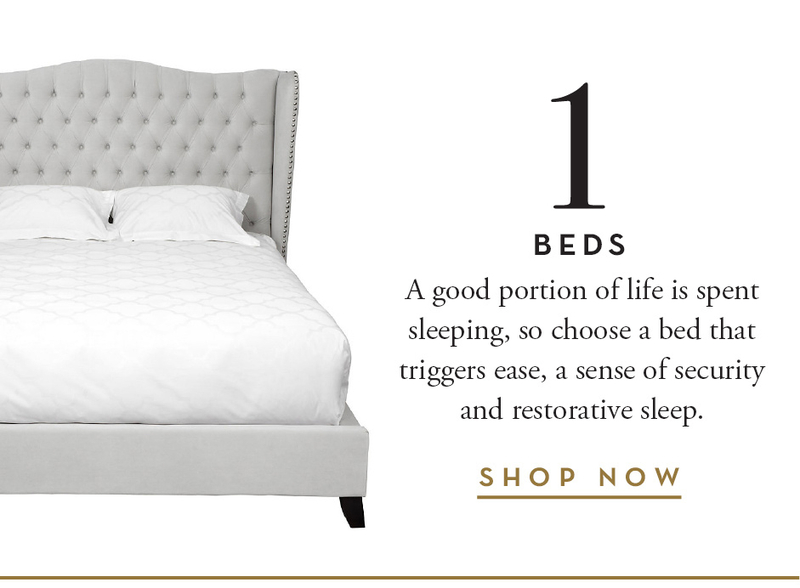 Whether your goal is beauty sleep or a nano nap, our beds come in all sizes and styles. 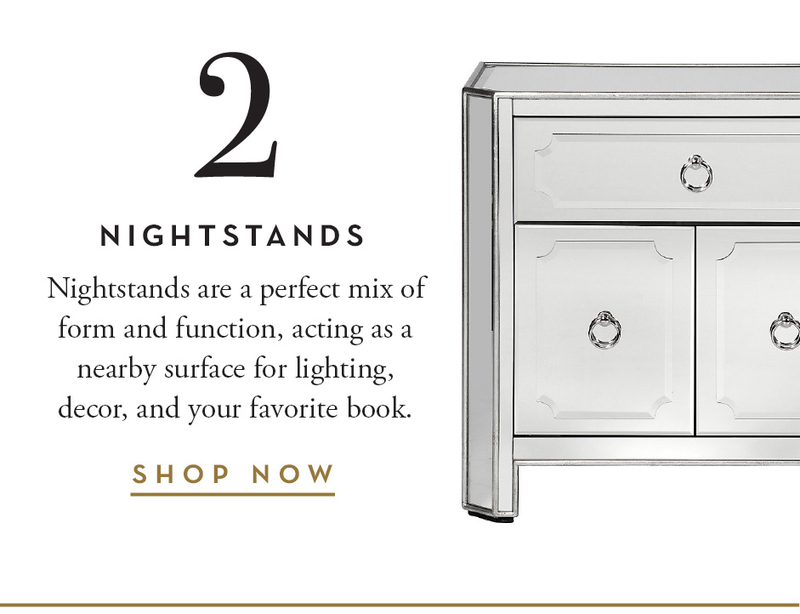 Our nightstands add function and storage to your bedroom while complementing the style of bed you select. 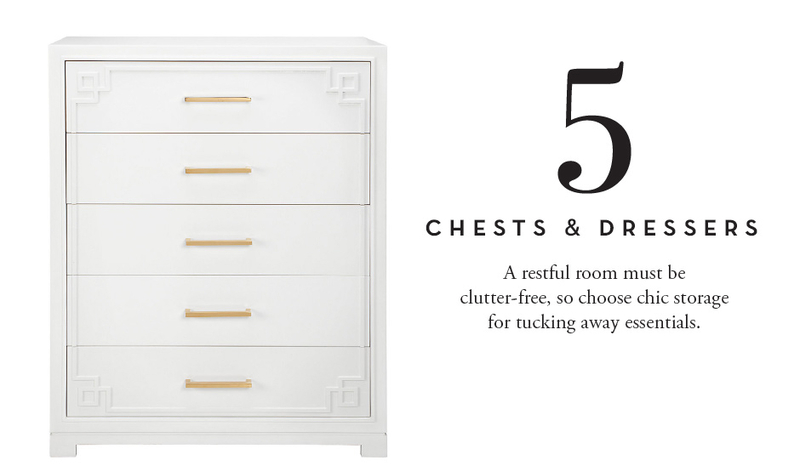 Find dressers and chests of drawers that elevate your storage style and keep clothes neatly tucked away. 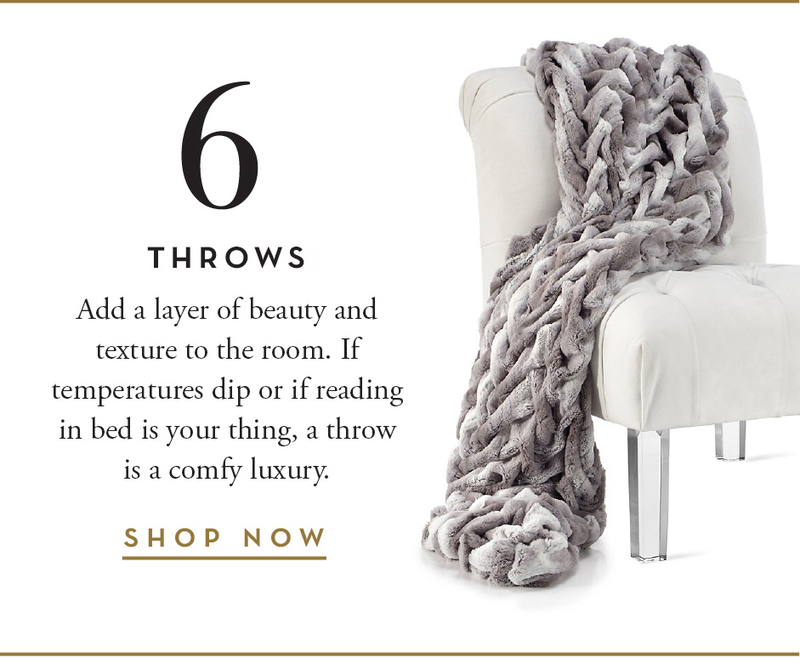 Sheets, comforters, and duvets add color, texture, and cozy comfort in spades. 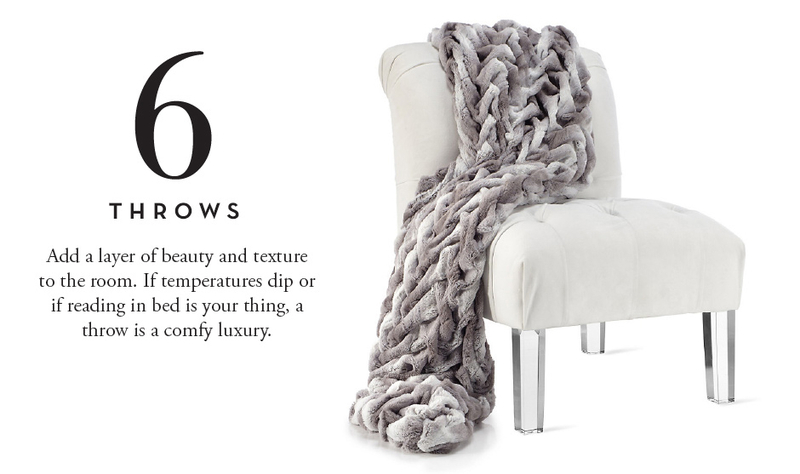 And don't forget to add layers to your bedroom. 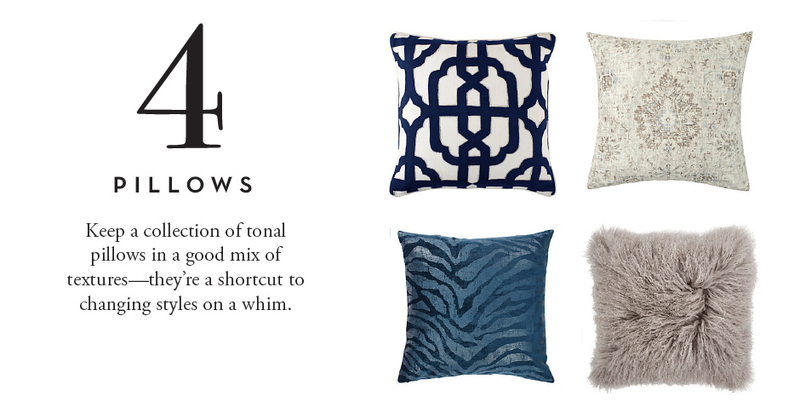 Accessories like accent pillows and throws offer more texture and a more cohesive feel to the space. 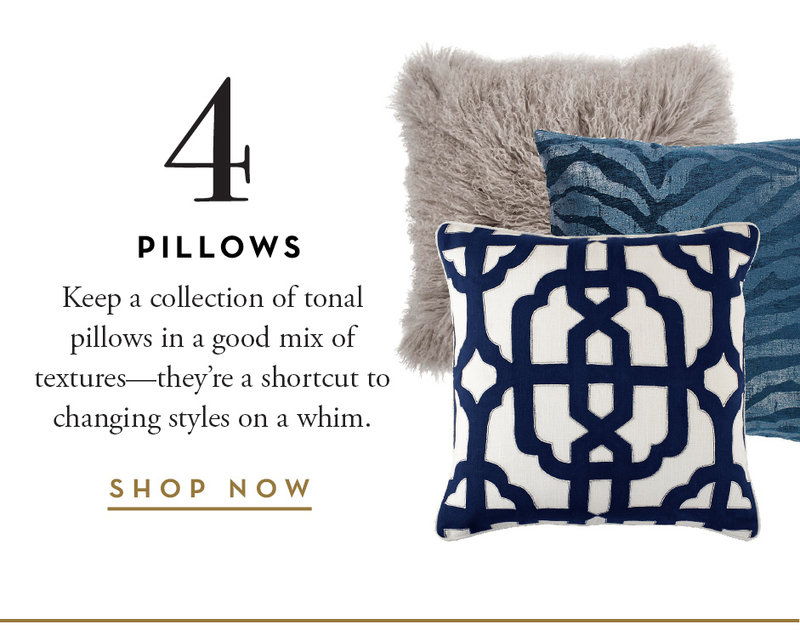 Even a simple, monochromatic bedroom gets a punch of glamorous texture with a faux white chinchilla throw and a trio of patterned pillows. 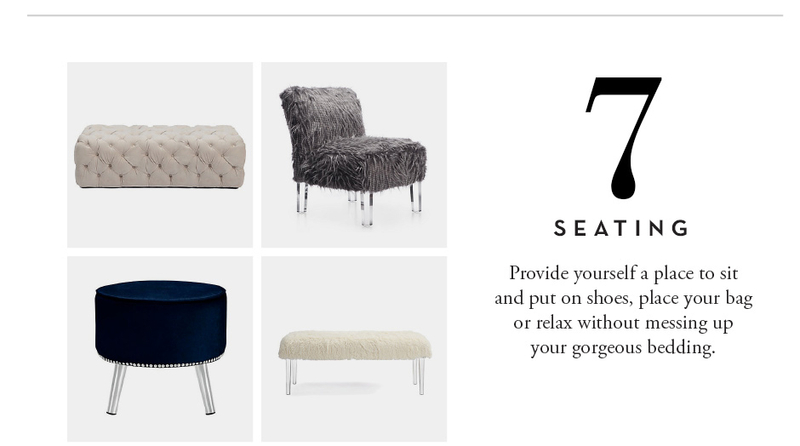 Finally, you can add in other furniture to make your bedroom a space in which you'll want to lounge. 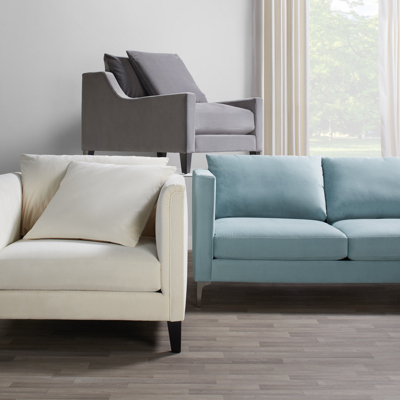 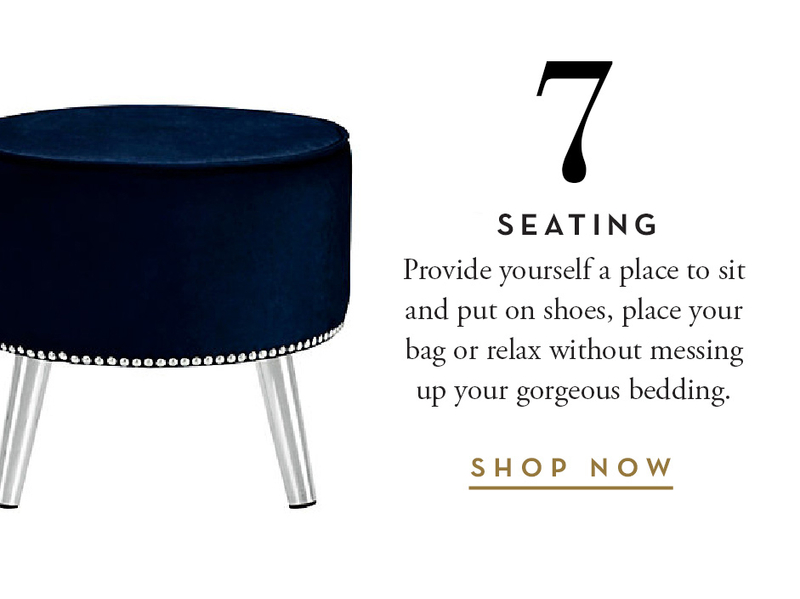 Our seating selection - from ottomans to benches, chairs to settees - will keep you in the bedroom all hours of the day.